I guess there’s a reason for the expression that you are your own worst critic. I got a big surprise when, at my school’s brief award ceremony, I was given two awards! 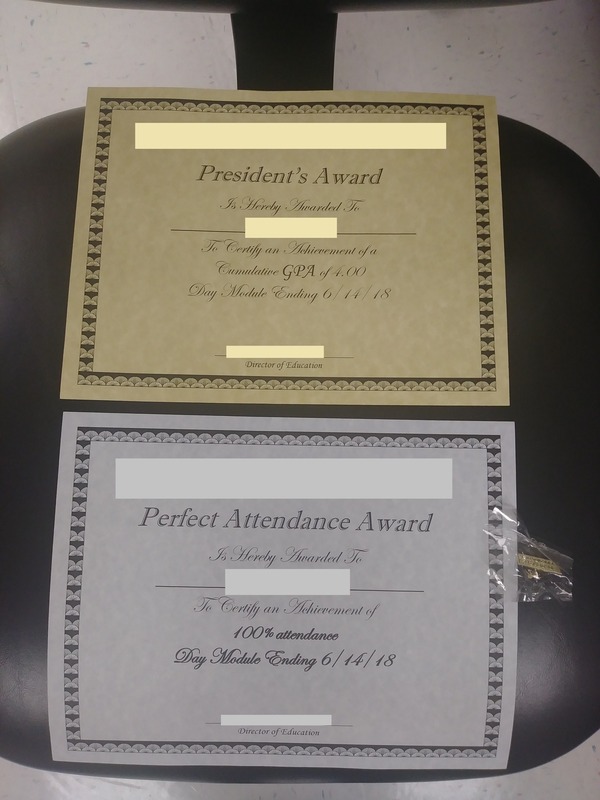 One was for perfect attendance while the other was for having a 4.0 GPA. Perfect attendance is easy for me, though I still very much appreciate the award. On the other hand, I have never had a 4.0 GPA in my life! I really cannot believe it and I am so stunned! And I am not a flawless student, as I think my last post makes evident. Yet, somehow, I achieved that! I really do not have words. My whole day has been made! My school award certificates! School name, my real name, and signature of the director have been omitted. 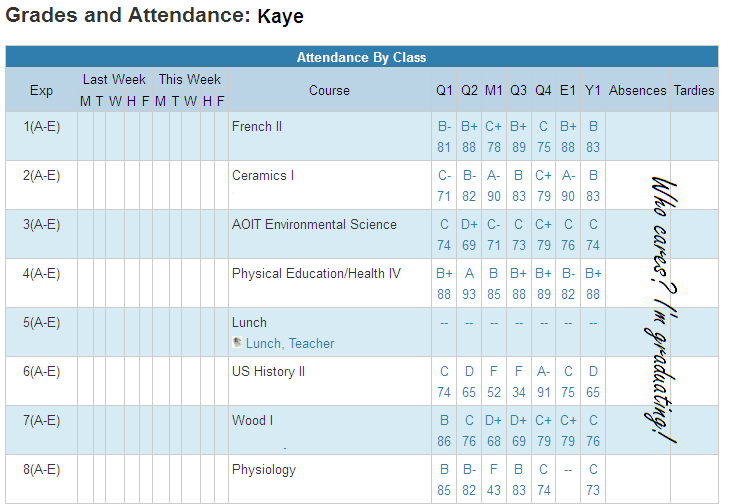 Since it’s the end of the year, I figure “what the heck” and decided there was no harm in showing my grades. Since it’s my last year and I’ll be wiped out of the system, I may as well have something to remember. I know what the grade is for my Physiology exam and I passed. My teacher just hasn’t entered it yet. Also, my attendance isn’t bad, but I still don’t think it needs to be seen.